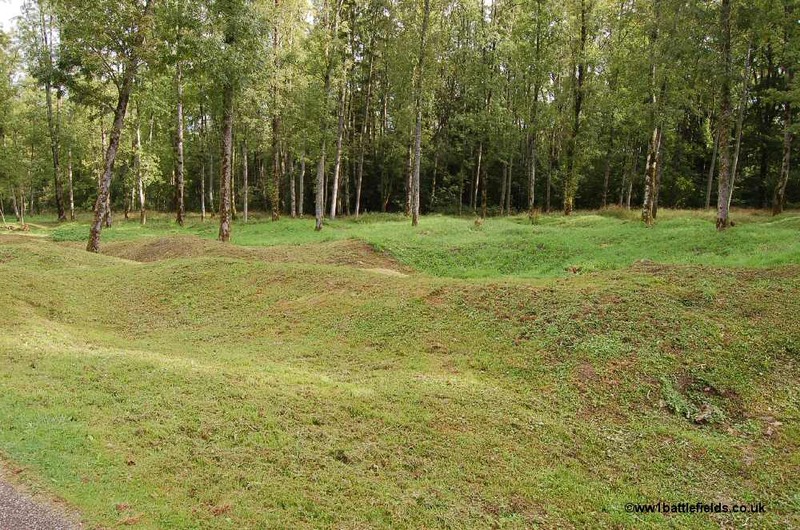 Very close to Fort Douaumont is the site of the destroyed village of Douaumont. The ground here bears the scars of the furious shelling that took place. Before the war, the village had a population of nearly three hundred, including a cobbler, a tobacconist, three stonemasons, several farmers and a teacher. There were around fifty houses. 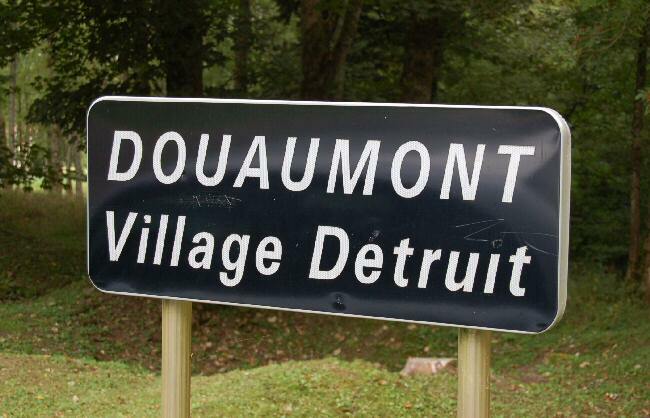 The name of the village derived from 'Divine Mountain', and it probably dated from Roman times. 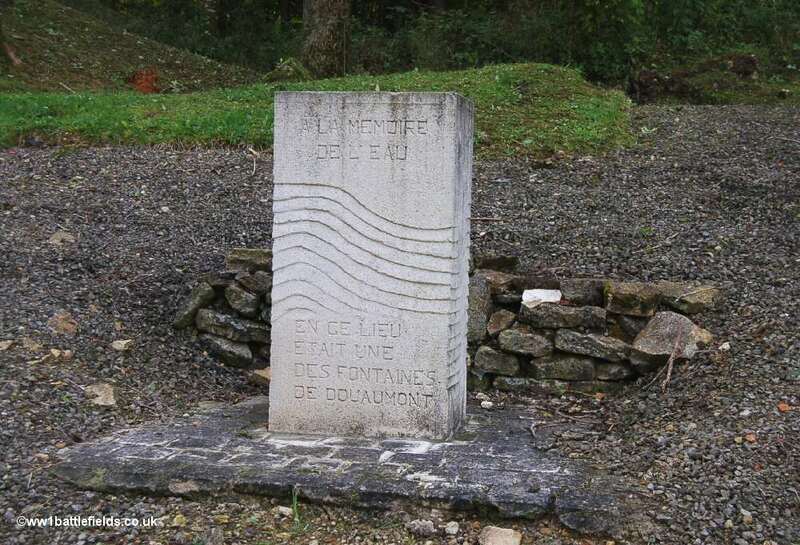 Douaumont is the highest spot on the Cotes de Meuse within the Verdun area, at 1,235 feet. 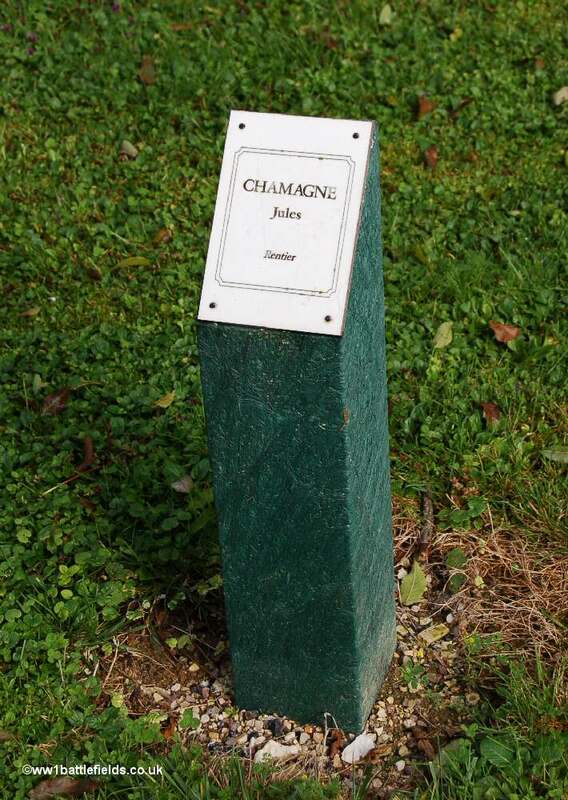 Along the road that leads through the site of the village, and also on the other main street (now just a track), the sites of the houses have been marked by wooden stakes. 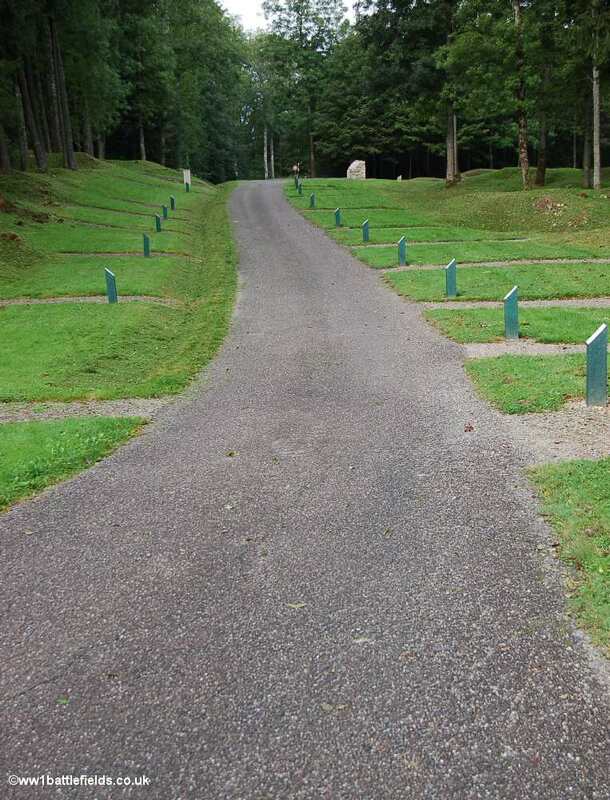 An examination of these can help to recreate the image of the village that once stood here. 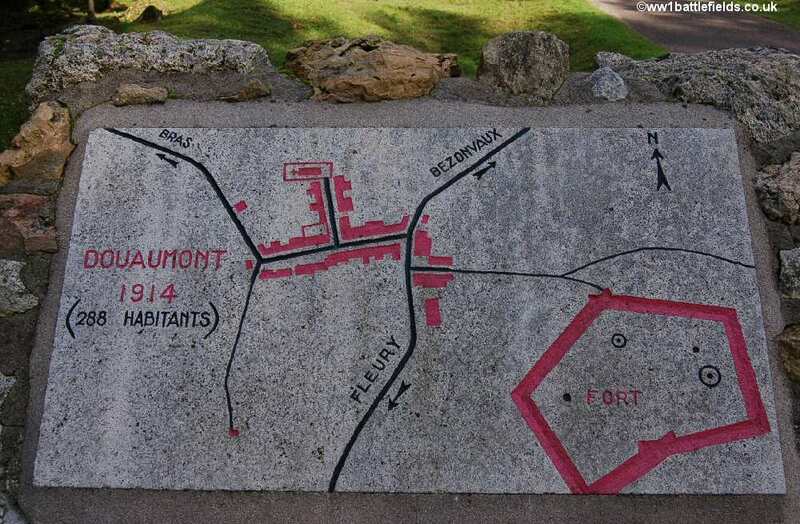 At the beginning of 1916 the villagers were ordered to evacuate Douaumont, and on the 21st of February the Germans lauched their attack. 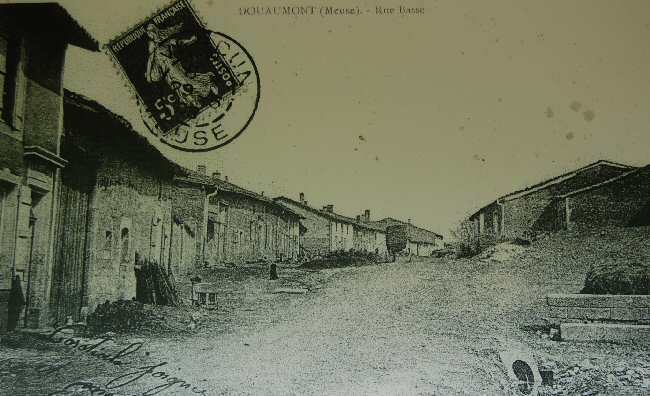 After the capture of Fort Douaumont on the evening of the 25th of February, the village became the scene of bitter fighting later that night. By the 4th of March, the French had to retreat, and the village was lost. 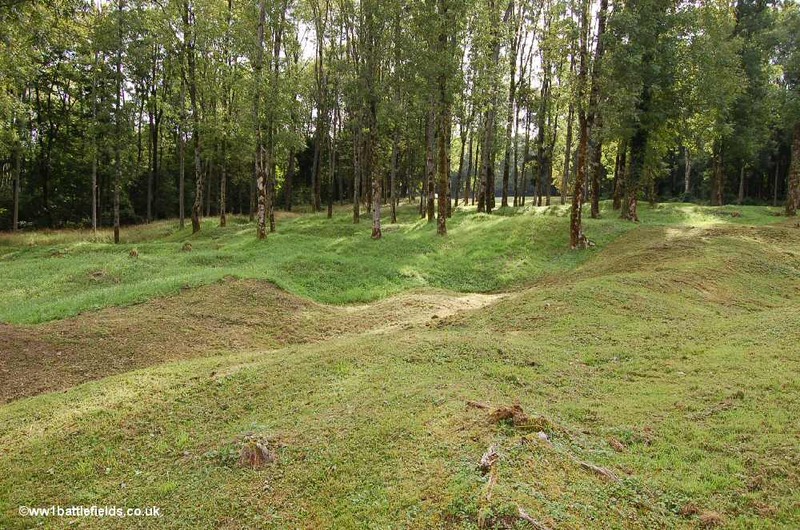 It was now in ruins, although it was recaptured by the French on the 24th of October 1916. 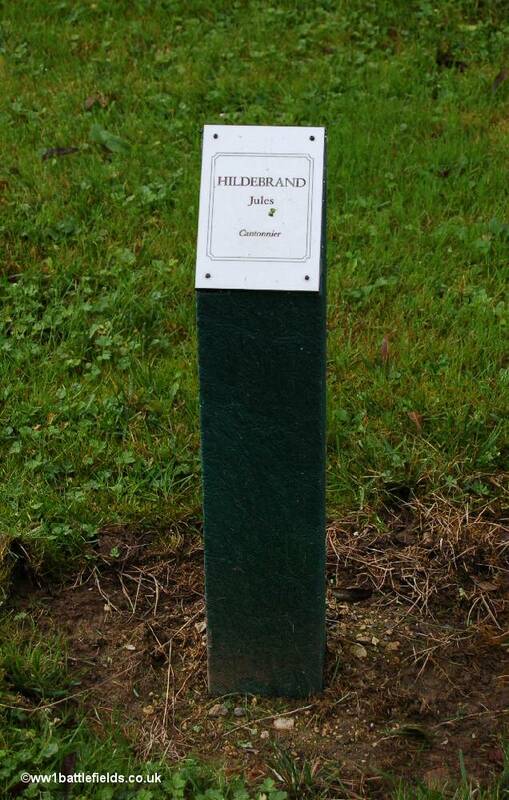 The marker posts at the sides of the roads showing where the houses stood also give the names of the families which lived here. This has great poignancy, as one thinks of the families that lived here before the war, with children playing in the streets and a slow-paced rural setting that was probably little changed in centuries. 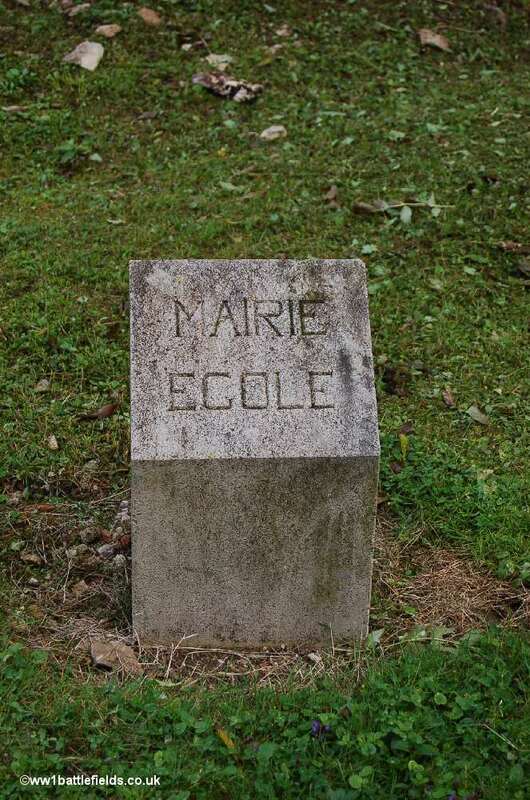 There are larger markers showing the location of the Marie and School, and a stone marks the fountain. This and a few lumps of stone are all that remain to show that a village once stood here. 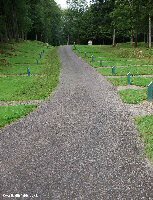 From the main street through the village another leads down to the site of the church, where a chapel now stands. 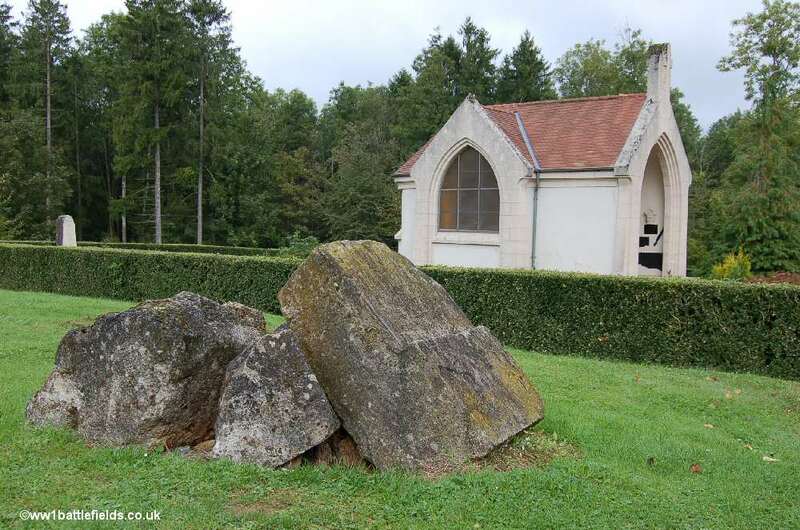 A small pile of stones just outside the hedge surrounding the chapel are perhaps all that is left of the original church, which was built in the 16th Centruy. The current chapel was consecrated on the 28th of August 1932, and every year on the second Sunday in October a memorial mass is celebrated here. 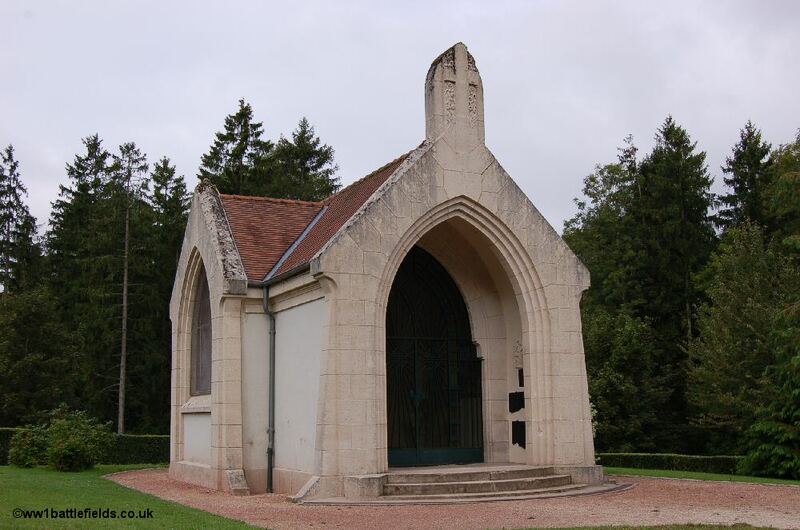 In the porch of the chapel are what are presumably some relics from the original church, and inside the chapel are two paintings of Douaumont before the war showing rural, bucolic scenes. The chapel stained glass windows are protected by screens - it seems astonishing that this is required in this isolated spot, but is a sad sign of the word we live in today. 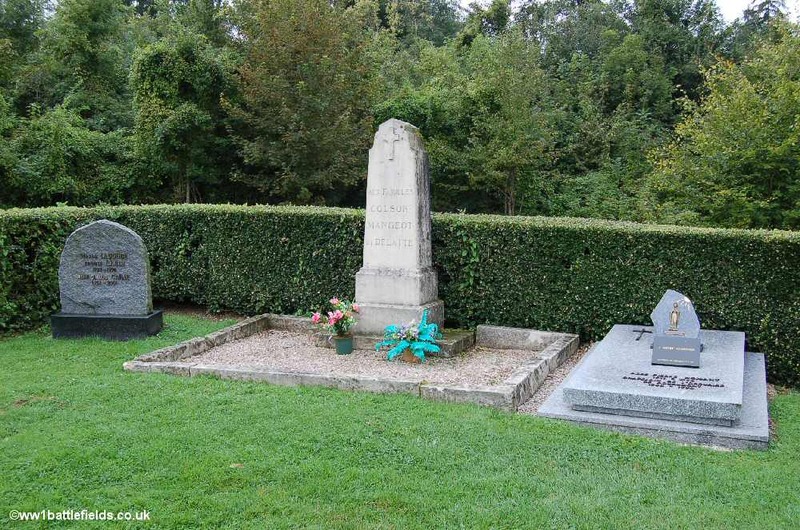 In the churchyard there are a few graves dating from much later than the Great War in one corner. 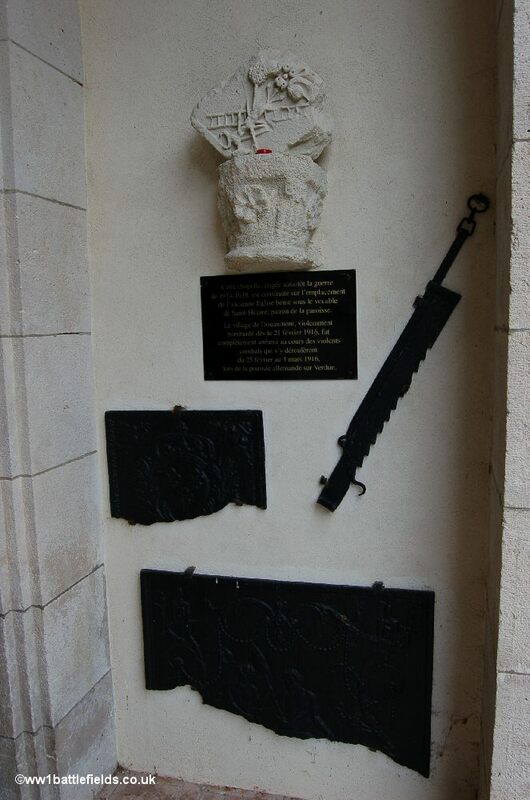 One of the graves is of Abbe Hommant, a chaplain at the Ossuary for over forty years, who died in 1998. After the War ended, the villagers returned to the area, but the danger from the munitions that had poured into the village was deemed too great to allow it to be rebuilt. 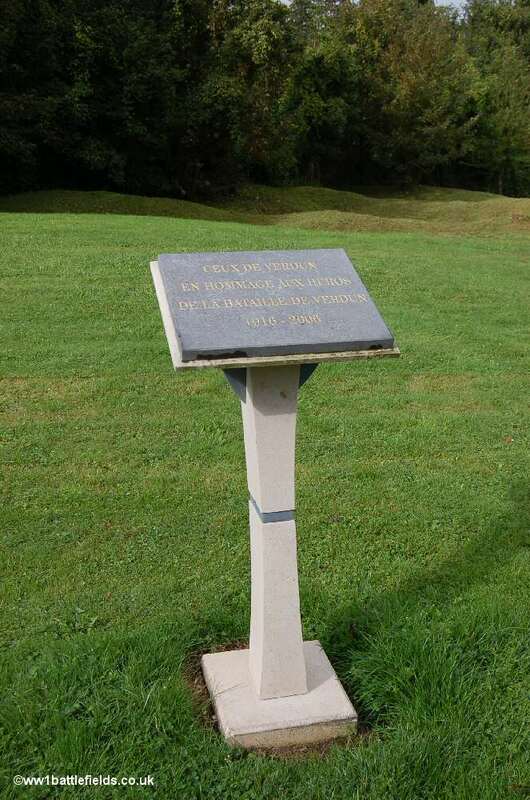 In 1926, a war memorial was erected to commemorate the eleven men from Douaumont who were killed in the Great War. In the forest by the road leading to village during my visit, a reminder of the past was evident, as men were logging, using horses to pull out the logs from the forest.